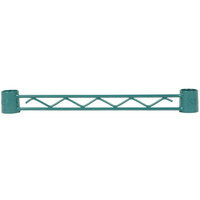 Use this Regency 18” green epoxy hanger rail in your establishment to optimize storage. 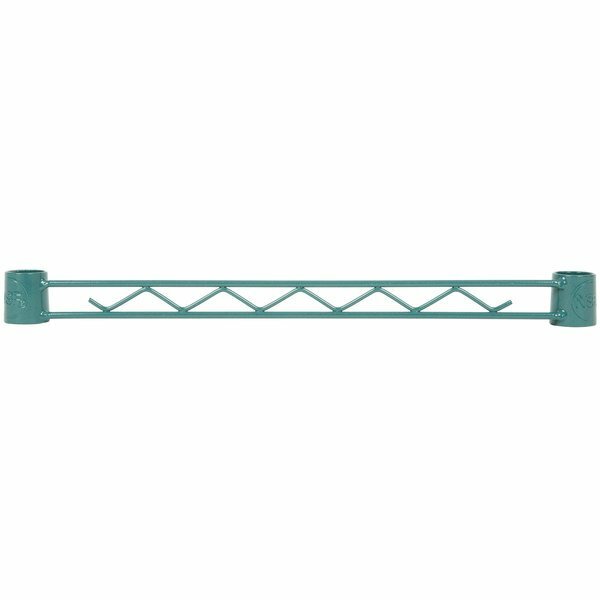 This Regency 18" green epoxy hanger rail is ideal for storage in your dish room, walk-in freezer, or other damp environment. 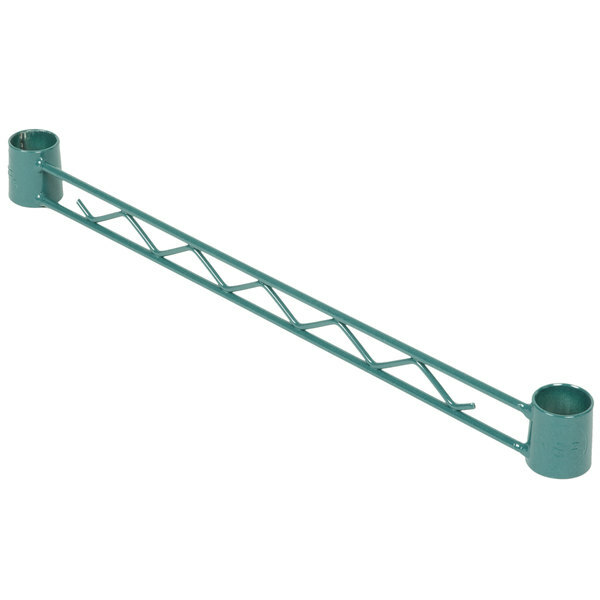 Simply attach this product to your existing shelving system to create a space for hanging pots, pans, spatulas, and other supplies. 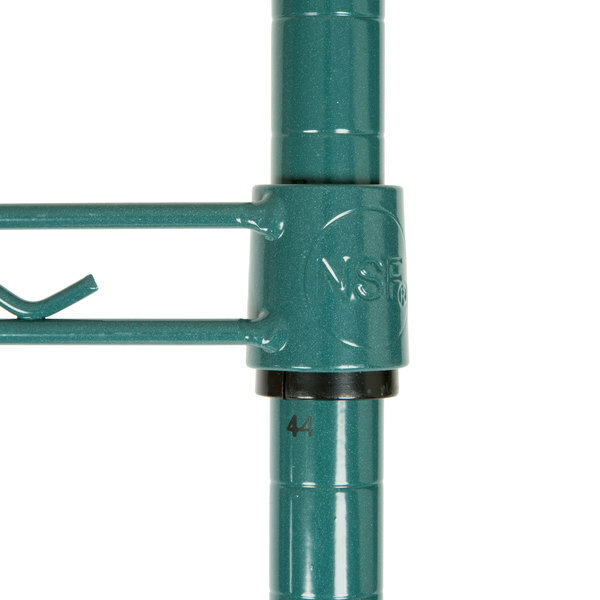 Plus, thanks to its epoxy coating, you don't have to worry about this hanger rail rusting over time. 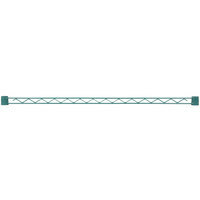 This hanger rail is crafted from strong metal materials that are designed to hold up to 80 lb. 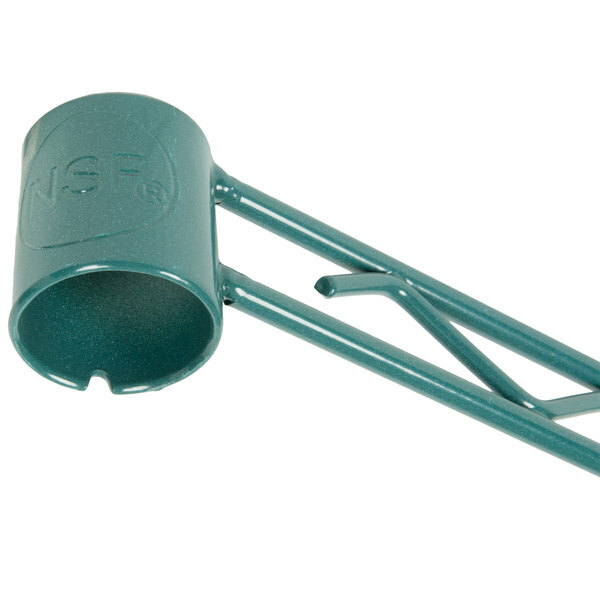 of weight, so you can store your pots, pans, and other supplies. 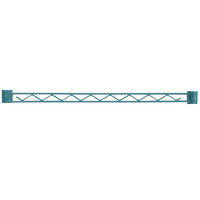 When used with its compatible leg posts (sold separately), this product can be adjusted on regularly-spaced intervals, so you can customize your storage unit and accommodate items of various sizes. 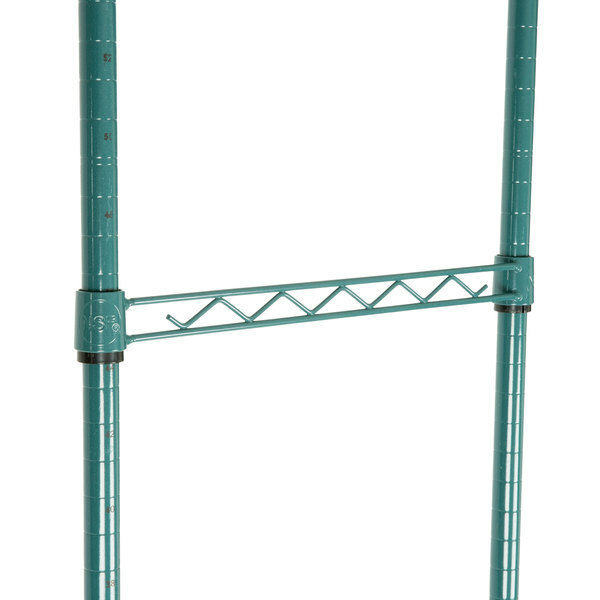 Not only is this product compatible with Regency posts and wire shelving, but it can also be used with Metro storage products. 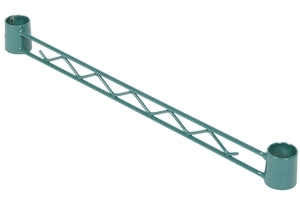 This hanger rail should be used with posts that are all from the same manufacturer. 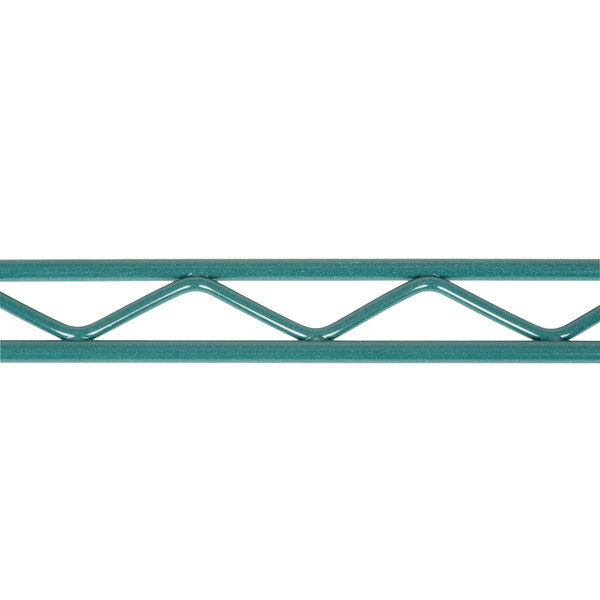 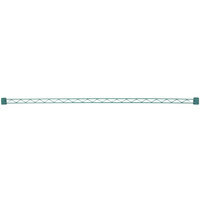 Item #: 460EG18HGRL Regency Green Epoxy Hanger Rail - 18"
Item #: 460EG14HGRL Regency Green Epoxy Hanger Rail - 14"
Item #: 460EG24HGRL Regency Green Epoxy Hanger Rail - 24"
Item #: 460EG36HGRL Regency Green Epoxy Hanger Rail - 36"
Item #: 460EG48HGRL Regency Green Epoxy Hanger Rail - 48"